You’ll receive one beautiful Labradorite soap shape palm stone. It’s 1 1/2 to 2 inches in size (38-50 mm). The one shown is an example only. 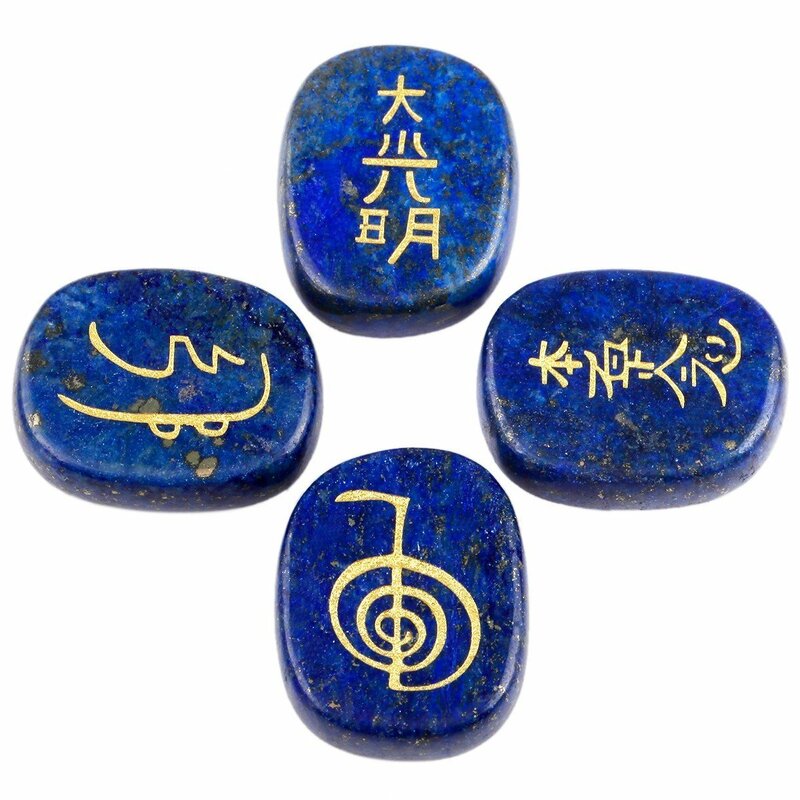 You’ll get one similar as each stone is unique and have natural variations (see additional images). We’ll also include a Blue Water Crystals brand, satin lined, velvet drawstring storage bag. 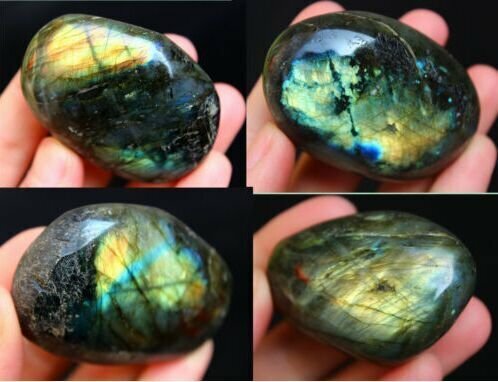 Properties of Labradorite. 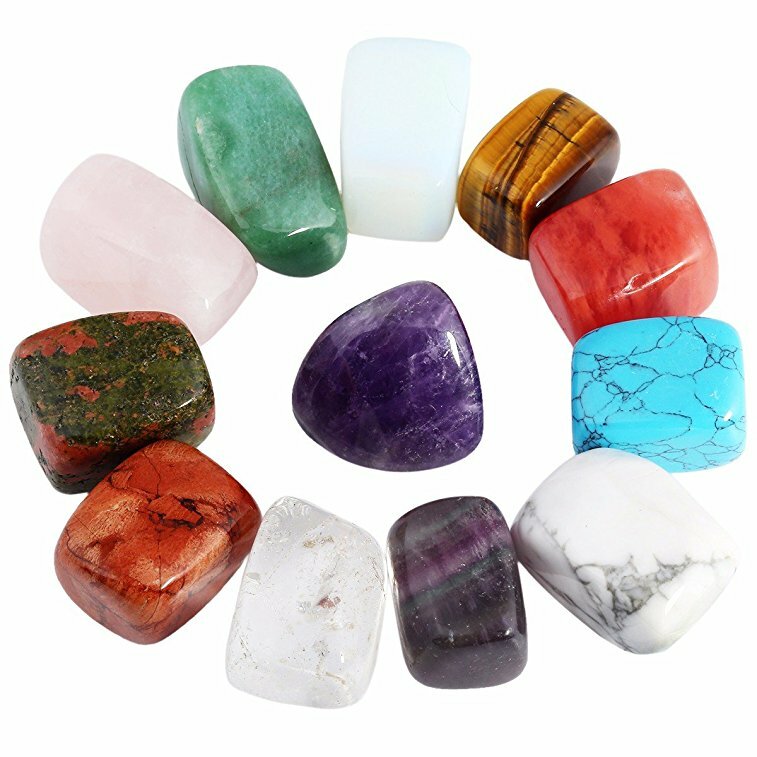 It’s considered a power stone, allowing you to see through illusions and determine your dreams and goals. Strengthens intuitions. stimulates imagination and enthusiasm ideas. Helps to see more clearly in meditation. 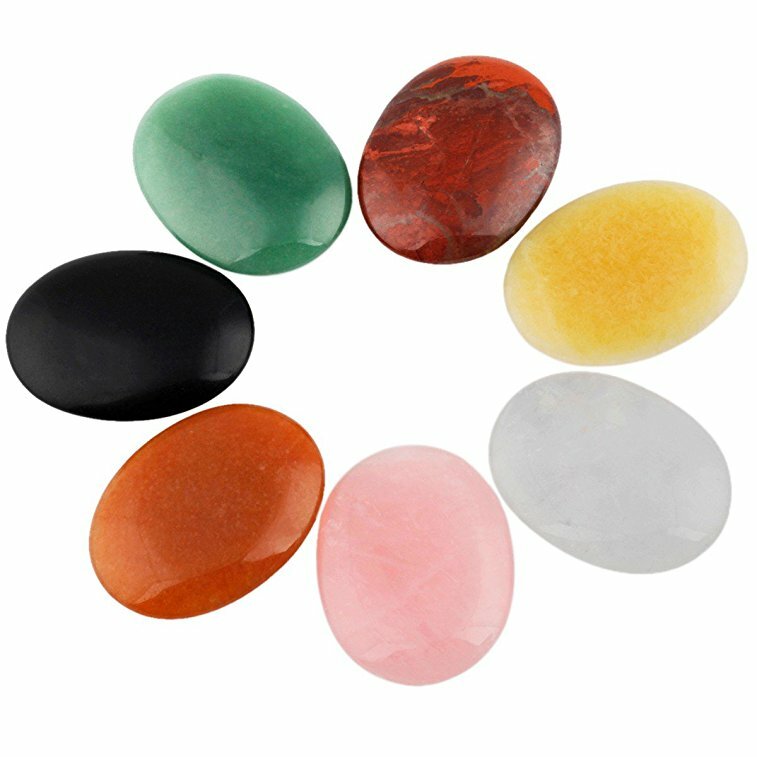 A protector of the Aura, keeping it balanced, protected and free from any energy leaks. 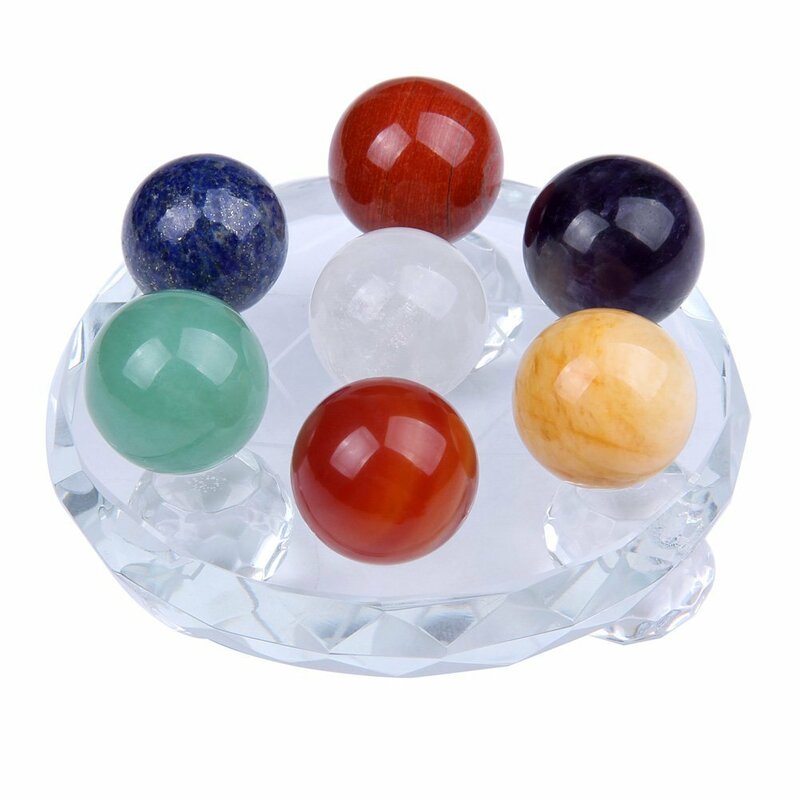 Reduces anxiety, stress and reduce fear, particularly related to bad dreams or nightmares. 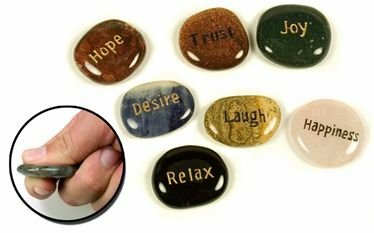 Helps one during periods of change by instilling strength, perseverance and assists you in knowing the “right time” for things within your inner self. Can help you with determining your destiny and also in achieving it. 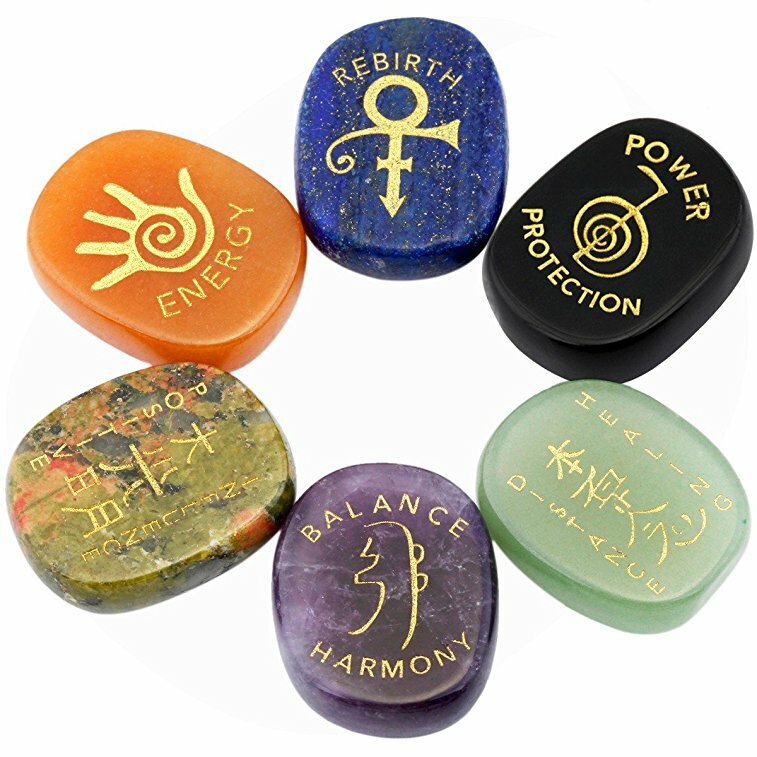 It promotes a better understanding of intuition, mysticism and psychic wisdom. Can also aid digestion. 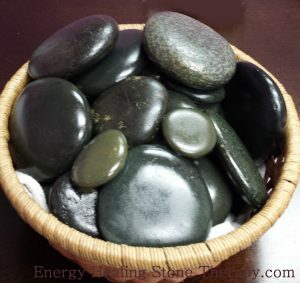 These smooth, basalt stones are perfect for using as “Hot Stones” for massaging people. They are a variety of sizes and work well to sooth and relax the tired muscles of the upper back and neck. Massage therapy is enhanced with the use of “hot stones” to aid in the relaxation process.